On this 100th anniversary of International Women’s Day, what do women want? Everything we deserve. March 8, 2011 is the 100th anniversary of International Women’s Day. The roots of this day are political, but in some countries, it has become an official holiday, a day for honoring women, much like Mother’s Day. It’s a day that has set me to thinking and reading about women’s rights and feminism in the 20th and 21st centuries. I’m also thinking about the women in my family. 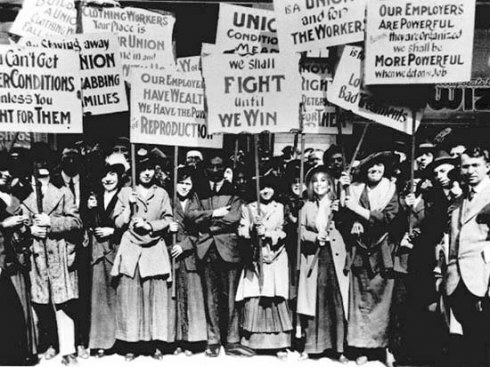 Women workers strike in 1912. Originally called International Working Women’s Day, this day sprang from from unrest and debate among women around the globe in the early 20th century. In the U.S., the political activism sometimes focused on the suffrage movement (votes for women), and sometimes combined with an attempt to get better working conditions for women. For example, in 1908 in New York City, 15,000 women marched through the streets, demanding shorter hours, better pay, and voting rights. The image above shows a similar rally in 1912. In 1910, at the socialist International Conference of Working Women in Copenhagen, a woman named Clara Zetkin put forth the idea of an International Women’s Day. Women in Austria, Denmark, Germany, and Switzerland officially celebrated it a year later, on March 19, 1911. I came of age in the late 1960s, during what’s sometimes called the second-wave feminist movement. The women’s movement grew throughout the 1960s. It followed closely on the heels of the 1940s and ’50s, when many U.S. women like my mother left jobs related to World War II, married, and became homemakers. I remember my dad giving my mom Betty Friedan’s book The Feminine Mystique for Christmas one year. It was 1963, almost 20 years after my mom’s war experience, in which she first learned to be a pilot and then joined the Red Cross. I don’t think she read the book, but other women did, and took it and other writings by feminists to heart, as did my sister and I. Throughout the decade of the 1960s and into the early 1970s, the women’s movement in the U.S. blossomed. Rosetta Byrd, my mom, trained to be a pilot in World War II. She wanted to fly transport planes across the Atlantic. 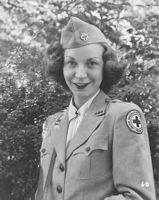 When her company was disbanded, she joined the Red Cross instead. Did we believe in our hearts we were the equals of men? Of course. But, born in 1951, I was in college the first time I saw a man folding laundry (he was helping his wife), and I recall feeling a moment of surprise. Plus, it wasn’t until much later that women my age realized that equal doesn’t mean “the same.” Many of us have spent a lifetime trying to understand that difference. 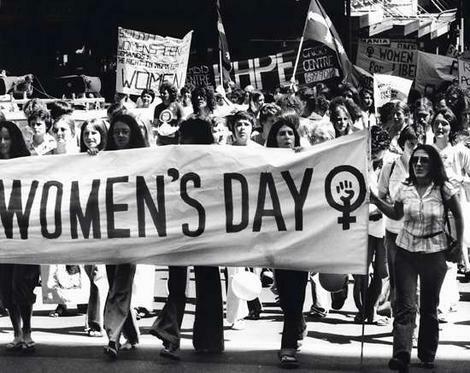 It was 1975, during International Women’s Year, that the United Nations adopted March 8 as International Women’s Day. Two years later, in December, 1977, the U.N. General Assembly adopted a resolution proclaiming a United Nations Day for Women’s Rights and International Peace to be observed on any day of the year, in accordance with the historical and national traditions of nations around the world. International Women’s Day is traditionally marked with a message from the Secretary-General. 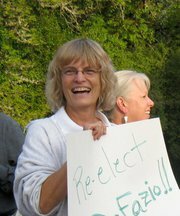 Barbara Byrd, my sister, is a professor and champion of labor unions in Oregon and around the globe. Today, over 100 countries observe International Women’s Day. 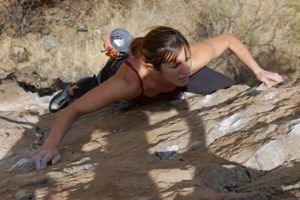 A website lists 1,538 International Women’s Day events for 2011, marking and honoring the achievements of women. You can listen to a special podcast with the United Nations’ Nafis Sadik, discussing women’s accomplishments and unfinished work, how HIV/AIDS affects women, how reproductive health is crucial to women’s rights and well-being, and more. You can also attend a webinar from the Earth Institute at Columbia University on Expanding Opportunities for Women and Girls: 10:00 AM – 11:00 AM EST on March 8, 2011. In many countries – for example, Afghanistan, Armenia, Azerbaijan, Belarus, Burkina Faso, Cambodia, Cuba, Guinea-Bissau, Eritrea, Kazakhstan, Moldova, Mongolia, Montenegro, Russia, Tajikistan, Turkmenistan, Uganda, Ukraine, Uzbekistan and Vietnam – today is an official holiday. In China, Nepal, and Madagascar, it is a holiday only for women. 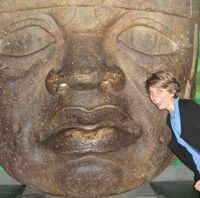 Abigail Hall, my daughter, is living, working, and going to school near Mexico City. For fun, she scales high cliffs. In several countries, International Women’s Day has evolved to become something like Mother’s Day or Valentine’s Day. It is customary for men to give the women in their lives – mothers, wives, girlfriends, or sisters – flowers and small gifts on this day. In some countries, children give small presents to their mothers and grandmothers on International Women’s Day. In Italy, men give yellow mimosas. In Russia and Albania too yellow mimosas and chocolate are common gifts on March 8. 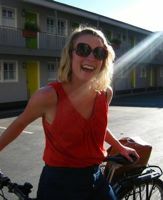 Caitlin Donohue, my niece, is a writer living and working in San Francisco. We hear now from experts that women are key to 21st century progress throughout the world. Study after study shows this to be true. You can find many studies and information about women on the website of the Population Reference Bureau. Throughout the world, studies show that women focus on making sure the family is healthy and educated. Women tend to be careful with the family’s finances. Some studies suggest that empowering women through increased access to education and contraceptives – plus delaying marriage – is key to 21st century peace and stability. Here in the U.S., my daughters and niece, and the many young women I’ve been fortunate to know through work and life, don’t seem to call themselves “feminists” anymore, as we women of the 1960s did. Emily Howard, my step-daughter, is a genius and good friend. After graduating from college, she traveled the globe alone for half a year. Maybe they don’t have to. Their world seems so much more alive and open to possibility than it seemed to me and many women in my generation. Several of the young women in my family have traveled to foreign countries alone. They chart their futures in a way that’s much more creative than anything I would have thought of. But I hear these young women talking about the same issues my friends and I talked about. For instance, some young women wonder if being “too smart” affects their love relationships. If the message of feminism is that women are the equals of men, the reality is that this message can sometimes be a difficult and confusing one, as many women reading this will know and understand. It’s heartening to think that possibly the young women of today will move through the issues of feminism with greater grace than I did. I think they will. I thank them for carrying that grace to their own future daughters, and wish them all success. As a feminist, have my love relationships been harder than they would have been otherwise? As a mother, did I teach my daughters the right things to help them lead happy lives? As a boss, do my employees question my authority more than they would a male boss? Have I earned as much in my lifetime as a man in my position would have? Will I live to see a country and a world where all people have equal rights, and are treated with dignity while earning fair wages for the work they do? Joni Hall, my daughter, is the salt of the Earth and the wind beneath our wings here at EarthSky. Wow. That’s a huge topic. 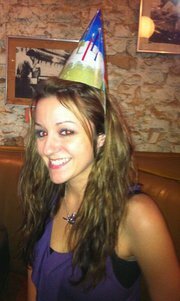 I’m an American woman, and I know I have it as good as it can possibly be, compared to women in the rest of the world. I know there are women who still don’t even have the right to vote. But, as a woman, I still feel limited. Her comment describes almost exactly how I feel as well, and it’s why this day finds me celebrating and honoring women, but also finds me in a place of deep wondering about what the present and future hold for the world’s three-and-a-half billion women and their daughters and granddaughters to come. International Women’s Day 2011. It’s the 100th anniversary of this day – a good day to to celebrate women’s economic, political, and social achievements – and to show respect, appreciation and love towards the women in our lives, who surround us with their love and nurture us all.